I'm not a huge potato fan. Actually no, let me clarify, I think the only kind of potato (preparation wise) I don't like would be mashed potatoes - it's a bit too bland for me...well unless it has lots of butter in it. And if I'm having a baked potato, it needs to be "loaded" with sour cream, bacon bits, cheese, green onions, etc., basically the "works" you know? With lots and lots toppings piled up high. Oh, I also love fried potatoes (as in french fries, chips) or pan-fried potatoes pancakes or fritters. Basically, I like all unhealthy ways of preparing potatoes. I bought this BIG BOOK of BREAKFAST long time ago, several years back probably. Haven't really used it at all because the book has no pictures. OK I admit it, I only got it because it was on sale for super cheap. If it was selling for regular price, I probably wouldn't have got it. Recipe books without even one picture in them will not inspire nor motivate me to make whatever is in it. Go ahead, judge me!!! Anyway, I digress. My boyfriend has this huge bag of potatoes at his place which he doesn't know what to do with (the bag of potatoes were given to him by his mom, don't know why, so don't ask haha). 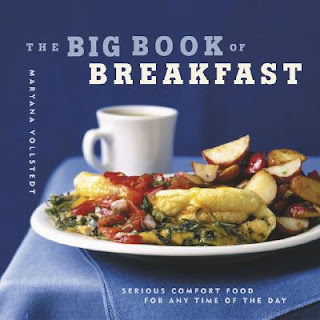 I decided to to flip through this book in hopes of finding a recipe with potatoes, I mean since it is a breakfast book . I found this potato pancakes recipe and it was perfect because he also had green onions and yellow onions at home. I like this recipe because it is quick and easy, and it doesn't necessarily have to be eaten for breakfast (we ate it during dinner with other dishes). And most importantly, it is PAN-FRIED! I truly believe that if you put together a bunch of seemingly boring ingredients together, combine them together, fry it or pan fry it, there's a pretty good chance that it will come out at least decent - that's my theory lol! Oh, this recipe is also good for all of you out there that had once wanted to just buy maybe 5-6 potatoes for dinner, but opted for the big 5lb bag instead because it was a "better deal", and is now stuck with it, forever. 2. In a large bowl, combine potatoes with onion, egg, flour, salt, pepper to taste, and parsley (I did not have fresh parsley so I used 2 teaspoons of regular parsley). 3. On a plate, divide mixture into 6 mounds (about 1/3 cup each). In a large nonstick skillet over medium-high heat, warm oil. Place mounds of potato mixture in skillet with hot oil and flatten with spatula. 4. Cook until gold brown and crisp, 5 to 6 minutes on each side. 5. Remove with a spatula. Serve immediately. Are You a "Food Racist"?